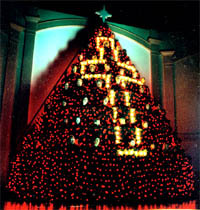 "The Singing Living Christmas Tree"
First Family Church did their first ever Living Christmas Tree in 2001. 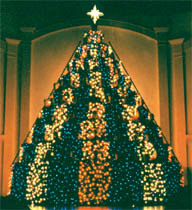 Eddie Verstraete handled all the technical aspects of the production in 2001 & 2002 and used a MidiLite II system to control their tree lighting. Their first year went very well.